Missouri voters approved a constitutional amendment during the 2018 midterm elections, which legalizes the use of medical marijuana for qualified patients with serious and debilitating illnesses. Passage of Amendment 2 has left local HR professionals and company owners searching for answers on how it will affect their workplace. Here are a few common questions employers may have while adjusting to the new law. What exactly Is Amendment 2? Missouri is one of 33 states that has legalized marijuana to some extent. The amendment does not change federal law, which classifies marijuana as illegal, even if it’s used for medical reasons. Under the new law, patients who have physician approval will receive identification cards from the Missouri Department of Health and Senior Services (DHSS). This will allow patients and their registered caregivers to grow up to six marijuana plants and purchase at least four ounces of medical marijuana on a monthly basis from dispensaries. Qualifying medical conditions include conditions, symptoms or side-effects resulting from the treatment of cancer, epilepsy, glaucoma, HIV, intractable migraines unresponsive to other treatment and terminal illnesses. Numerous chronic medical conditions and psychiatric disorders also qualify, such as autism, Alzheimer’s disease, Crohn’s disease and post-traumatic stress disorder. State regulators will issue four types of medical marijuana licenses: patient, cultivation, infused-product manufacturing and dispensary. Additionally, there will be a 4% retail tax on medical marijuana sales. Revenue will be earmarked for services supporting military veterans once regulatory and implementation costs are covered. Can employees consume medical marijuana at work? No. The amendment’s language prohibits the public use of marijuana. In addition to enforcing a drug-free workplace policy, employers can adjust other policy language prohibiting smoking, ingesting or otherwise consuming marijuana at the workplace in any form (i.e., vapor, edibles and oils). Can employers still drug test applicants and employees? Yes. The new law does not prohibit employers from drug testing potential or current employees. Companies with drug-testing policies in place should continue to follow that policy and enforce disciplinary policies regardless of what kind of illegal drug shows up in an individual’s system. Is there a reliable way to test employees for marijuana impairment? It’s complicated, as drug tests haven’t caught up with the laws. An employee may test positive for marijuana but not be impaired, or currently under the influence. This stems from the fact that THC (marijuana’s active ingredient) stays in the bloodstream well after consumption, sometimes for days and weeks at a time. An alternative approach is to train managers to identify the signs of marijuana impairment at work. Ensure managers are aware of their responsibility when it comes to reasonable suspicion testing procedures, whether it includes informing human resources of the situation or documenting the findings and directly sending the employee for testing. Is there a proposed implementation timeline? Amendment 2 went into effect December 6, 2018. However, Missouri has a long way to go before identification cards are issued, or any legal retail dispensaries are operational. DHSS recently released their timeline of deadlines it must meet for creating and accepting licenses. January 5, 2019: Pre-filed application fees will begin to be accepted. June 4, 2019: Application forms and instructions will be available. July 4, 2019: Applications for identification cards will begin to be accepted. August 3, 2019: Facility applications will begin to be accepted. In other words, employers aren’t likely to see their first valid medical marijuana card until late 2019 or early 2020. Although that seems like a long time from now, it’s smart to begin the preparation process now. Below are some recommendations. Revise and/or review employee handbooks and drug-testing policies. Review DOT regulations and/or any federal contracts, if applicable. Conduct manager training to identify marijuana impairment. 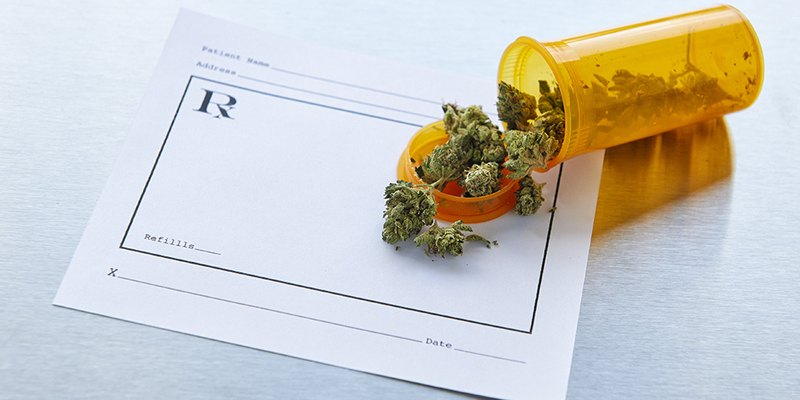 Prepare managers on how to converse with employees about medical marijuana. If your company needs assistance revising its employee handbook or drug-testing policy, Bukaty Companies provides comprehensive consulting services to address your needs. Please contact Bukaty Companies at 913-345-0440 and ask for Randy Woehl, MPA, SPHR, SHRM-SCP, director of HR consulting services.